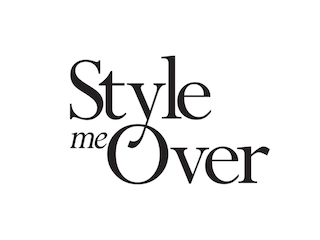 Please choose carefully as STYLE ME OVER does not offer refunds -> No refunds offered unless manufactural fault- SMO to approve. Sale items are not available for exchange or store credit. For hygiene reasons cosmetics, accessories and undergarments cannot be returned. While we pride ourselves on offering quality and beautifully made garments, there is always the rare chance an item may be faulty, in this case we will cover the postage for it to be returned to us to be either repaired or replaced. It is only if we are unable to offer you either of these that we will refund you in full. We are not required to offer a replacement or refund if an items has been damaged due to obvious misuse or due to usual wear and tear. This is in accordance with Consumer Affairs Laws in Australia. We apologise for any inconvenience. Please feel free to contact us with any further questions regarding the return of any faulty product. DON'T HAVE AN SMO ACCOUNT? ORDERED as a GUEST? NO PROBLEM! We create an account for you automatically, in order for you to have the option to exchange if you wish - to activate your account go to MY ACCOUNT at the top of the screen, simply type in your email address that you ordered with then click on FORGOT PASSWORD, you can then follow the prompts below and lodge your RETURN REQUEST. LOG In to your SMO ACCOUNT HERE, select on the Left Hand Side Menu ' COMPLETE ORERS', Find your order number in which the item you wish to RETURN is connected to and select 'RETURN ITEM' and then follow the easy prompts. If your Request for Return has been AUTHORIZED, item is to be returned - with all (if any) tags attached, in original packaging and in unworn condition - and received back at STYLE ME OVER within strict 14 working days. Please note: If item is returned without tags, paper work and void of smelling of perfume STYLE ME OVER reserves the right to refuse refund/store credit or deduct a repackaging fee. Authorised exchanges must be returned to STYLE ME OVER within a strict 14 Business days via registered post, as we will not be liable for any items that go missing. Please note we do not hold items. An exchange will be on offer if we have other size's available, otherwise you'll be offered a store credit. Please kindly ensure collection within 14 days after you receive your awaiting pick email from us. As after this time you will not be able to exchange/receive a store credit if you are not happy with the item or the fit is not right, as it is out of our T&C's. 2. Once you have selected the shipping you want, proceed to check out as you would for a regular order. Please include your previous order number in the 'Notes' section before payment. Please feel free to contact us on 0451 580 476 if you have any queries or concerns!